I am trying to get this "experimental" feature to work, but I haven't been successful. 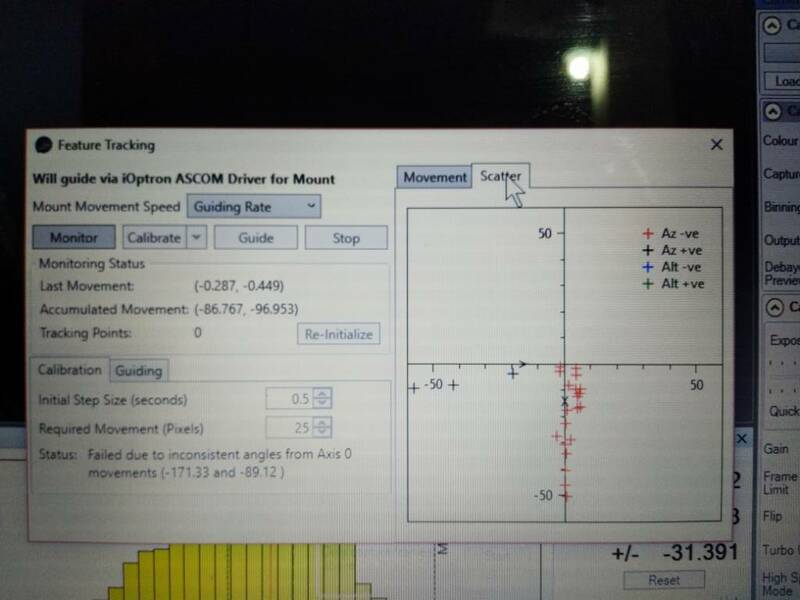 With both my EQ6 and my AZ Mount Pro, I'm getting the same error: Ve+ and Ve- directions are at 90 degrees from each other, instead of the same Axis. Both mounts are being controlled through ASCOM, both mounts work perfectly when used with any program other than Sharcap. Read this thread on the SharpCap forum. If you decide to post include the log file. Robin will respond.